Sideshow Collectibles currently has a pre-order up for the First Order Flametrooper from the upcoming Star Wars Episode VII. 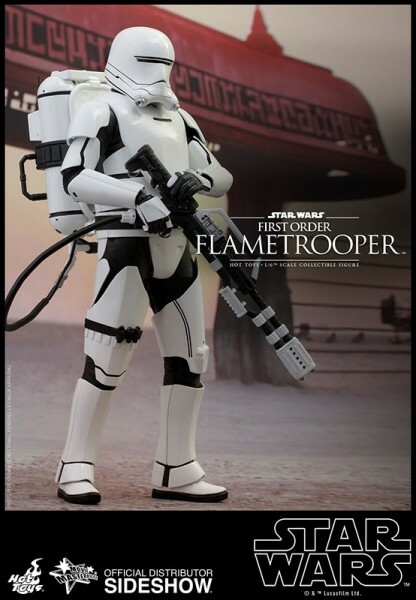 The figure is 1/6 scale, and comes complete with a hexagonal stand with the First Order emblem. This entry was posted on Saturday, October 31st, 2015 at 19:23	and is filed under Toys. You can follow any responses to this entry through the RSS 2.0 feed. Both comments and pings are currently closed.